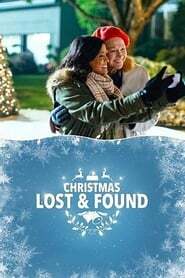 After years of missing family gatherings, New York City event planner Whitney Kennison (Tiya Sircar) is off to Chicago to spend Christmas with Grandma Frances (Diane Ladd). Excited that her granddaughter is finally home for the holidays, Frances decides to bestow Whitney with the precious Kennison family Christmas ornaments. But when Whitney mistakenly throws out the box of ornaments, Grandma Frances must stealthily devise a fun Christmas scavenger hunt to remind Whitney what the holiday is all about. It’s a race against time as Whitney reclaims the family ornaments, finds romance and learns the lesson Grandma Frances imparts.